The Fly Fishing Film Tour is on Sunday, February 24th. This is one of our new fundraisers and in it’s 3rd year. The event is hosted at Premiere Theaters Oaks 10 in Melbourne. This is a showcase of the best independent fly fishing films around the world. The first hour of films runs from 4pm-5pm followed by an intermission with hors d'oeuvres from Hemingway’s Tavern, an awesome raffle and FREE beer thanks to the Florida Fly Co. The second set of films starts at 6pm and the event closes just after 7pm. Tickets are $25 and on sale now and can be purchased online or at Harry Goode’s Outdoor Shop. 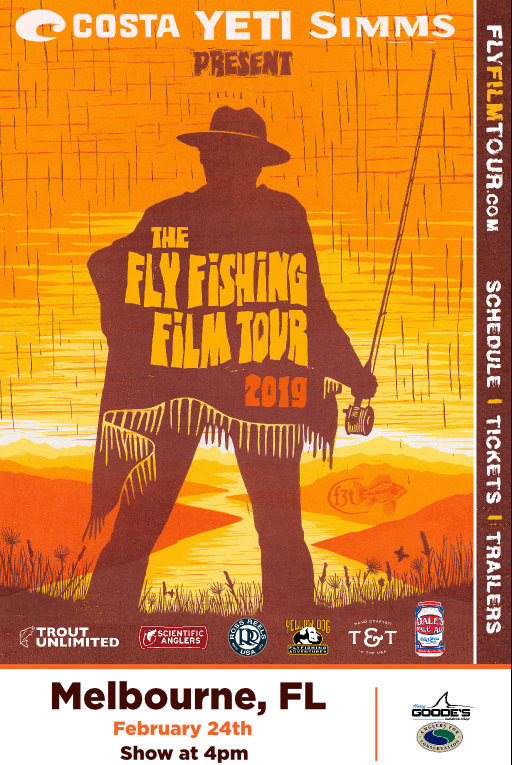 Get Fly Fishing Film Tour Details HERE!